Parents want to pray at home with their children, but many don't know where to start. 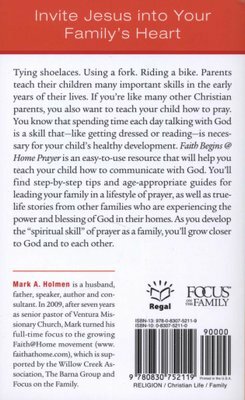 This new series of "Faith Begins @ Home" resources is designed to help parents bring faith home." 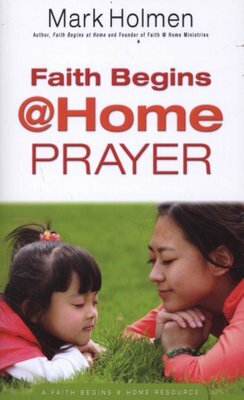 Faith @ Home Prayer" is an easy-to-use resource that starts from square one and ends in a 24/7 lifestyle of family faith. Parents will find step-by-step tips and age-appropriate guides for leading kids into a lifestyle of prayer, as well as true-life stories from families experiencing the power and blessing of God in their homes as they develop their "spiritual skills" with their children.